My 1-2-3 Cents : Dexter Roswell: Patriotic or problematic? Since it's the Fourth of July, I figured I'd take a minute look at Dexter Roswell. 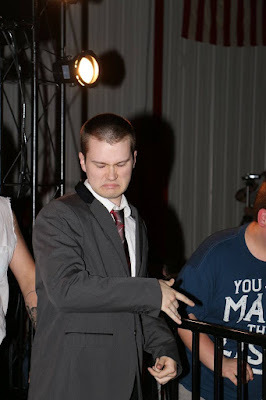 The up and comer is Stride Pro Wrestling's resident politician. He's adopted the slogan "Make Stride Great Again", much like what Donald Trump ran on as a platform during the 2016 Presidential campaign. Does Roswell really want to make Stride great again? What steps has he taken to ensure that becomes a reality? I have no doubt that Roswell loves wrestling. In my 1-2-3 cents, he even loves Stride. However, the way he shows that love is a little problematic. His handshaking of fans seems sincere at first, but then he cleans up with hand sanitizer. Probably a healthy move, but one that insults and demeans the paying public. Roswell has had his eyes on the Legacy Championship in recent months. Winning that belt would be a huge feather in his cap. 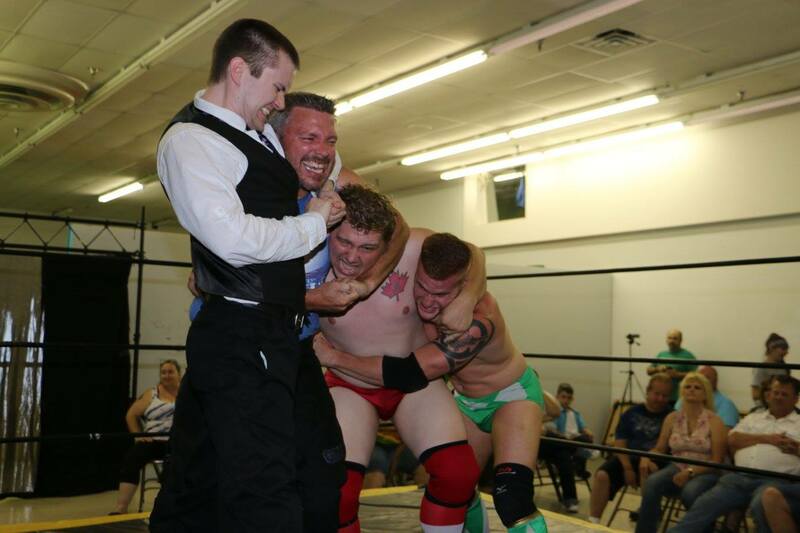 But before that can even happen the leader of the DR Party must face "The Undead Outlaw" Cash Bordin and former Stride Pro Wrestling tag team champion Joey O'Riley. The three-way dance planned for Saturday night, July 8 will be exciting. All three of these competitors are impressive in the ring. Roswell broke out of his shell last month in the fatal four-way for the Legacy Championship. He went toe to toe with the champ, Tony Flood, T-Dog and O'Riley. 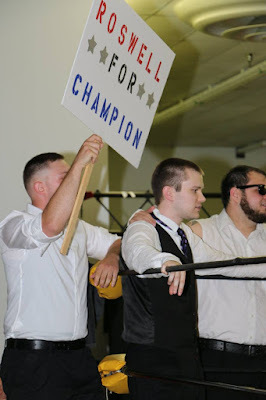 While it hasn't been officially announced the winner will get a shot at the Legacy title, whoever gets the W Saturday night should be under serious consideration for a shot.